Many have credited subprime loans with causing the mortgage crisis that peaked in 2008, and these loans continue to exist today. Subprime borrowers still get loans for automobiles, student debt, and personal loans. 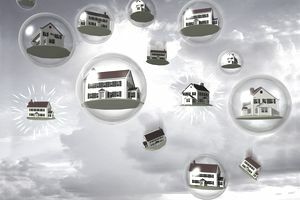 While newer loans might not trigger a global slowdown on the same scale as the mortgage crisis, they create problems for borrowers, lenders, and others. Subprime loans are made to borrowers with less-than-perfect credit. The term comes from the traditional prime, or low-risk borrowers that lenders eagerly want to work with. Prime borrowers have high credit scores, low debt loads, and healthy incomes that comfortably cover their required monthly loan payments. Subprime borrowers usually have bad credit. They may have had problems with debt in the past, or they may be new to borrowing and have not yet established a strong credit history. For lenders, FICO credit scores below 640 tend to fall into the subprime territory, but some set the bar as low as 580. Unfortunately, borrowers with bad credit have few options besides subprime lenders, which can contribute to a cycle of debt. Subprime loans require payments that eat up a significant portion of the borrower’s monthly income. Lenders calculate a debt-to-income ratio to determine how much loan a borrower can afford. Borrowers who spend most of their income on loan payments have little wiggle room to absorb unexpected expenses or a loss of income. In some cases, new subprime loans get approved when borrowers already have high debt-to-income ratios. Subprime loans are typically more expensive because lenders want higher compensation for taking more risk. Critics might also say that predatory lenders know they can take advantage of desperate borrowers who don’t have many other options. Costs come in various forms, including higher interest rates, processing and application fees, and prepayment penalties, which are rarely charged to borrowers with good credit. Prime borrowers can easily provide proof of their ability to repay loans. They have records showing steady employment and consistent pay. They also have additional savings in banks and other financial institutions so that they can keep up with payments if they lose their jobs. Subprime borrowers have a harder time making a strong case for continuing financial stability. They might be financially stable, but they don’t have the same documentation or financial reserves. Leading up to the mortgage crisis, lenders routinely accepted applications for low-documentation loans, and some of those applications contained bad information. Subprime loans involve risk for everybody. The loans have less likelihood of repayment, so lenders typically charge more. Those higher costs make the loans risky for borrowers as well. It’s harder to pay off debt when you add fees and a high-interest rate. For more details on how rates are directly related to monthly payments, see How to Calculate Loans. Since the mortgage crisis, consumer protection laws make subprime home loans hard to find. But old (pre-crisis) loans still exist, and lenders may still find creative ways to approve loans that probably shouldn't be approved. If you’re planning to borrow, or if you’re already in a subprime loan, figure out a way to avoid those expensive loans. Without perfect credit, you have fewer options: You won’t be able to shop among as many competing lenders, and you’ll have less choice when it comes to using different types of loans for different purposes. Still, you can stay away from predatory loans. You must appear, and actually be if possible, less risky to lenders. Evaluate your creditworthiness the same way they do, and you’ll know how you need to prepare before you even apply for a loan. If you haven’t already, check your credit reports (it’s free for U.S. consumers to view reports) and look for anything that will spook lenders. Fix any errors, and address any missed payments or defaults if possible. It may take time, but you can build or rebuild your credit and become more attractive to lenders. Lenders need to be confident that you have the ability to repay. For most people, that means you’ve got a regular income that more than covers your minimum monthly payments. If a new loan, in combination with any existing loans, will eat up more than 30 percent or so of your income, you might need to pay off current debts or borrow less to get the best deal. A lousy loan can haunt you for years, so shop around before committing to anything. Be sure to include online lenders in your search. Peer-to-peer lending services might be more likely to work with you than traditional banks and credit unions, and several online lenders even cater to borrowers with bad credit, while still offering decent rates. Be sure to research any new lenders you're considering before you pay any fees or hand over sensitive information like your social security number. If loan sharks are the only lenders nibbling at your applications, reconsider whether or not your loan makes sense. It may be better to rent housing for a few years instead of buying, so weigh the pros and cons of waiting to purchase. Likewise, it may be best to purchase an inexpensive used vehicle instead of a brand-new car. If you don't have sufficient credit and income to qualify for a good loan with a mainstream lender such as a bank, credit union, or online lender, consider asking a cosigner for help. A cosigner applies for the loan with you and accepts 100-percent responsibility for paying off the loan if you fail to do so. As a result, your cosigner takes a large risk and also puts their credit on the line. Ask for help from somebody who has strong credit and income and who can afford the risk, and don’t take it personally if nobody is willing to take that risk. Can Multiple People Apply for a Loan Together? Does It Help? Do I Meet the Requirements to Refinance a Loan? Do You Understand the Risks of Cosigning a Loan?